Candy box shaped like a heart. 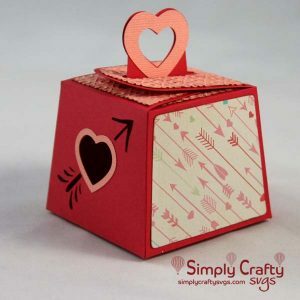 Use the Heart Candy Box SVG File to make a heart-shaped candy box for Valentine’s Day. Top features a cutout heart with acetate panel to display the box goodies and gifts. 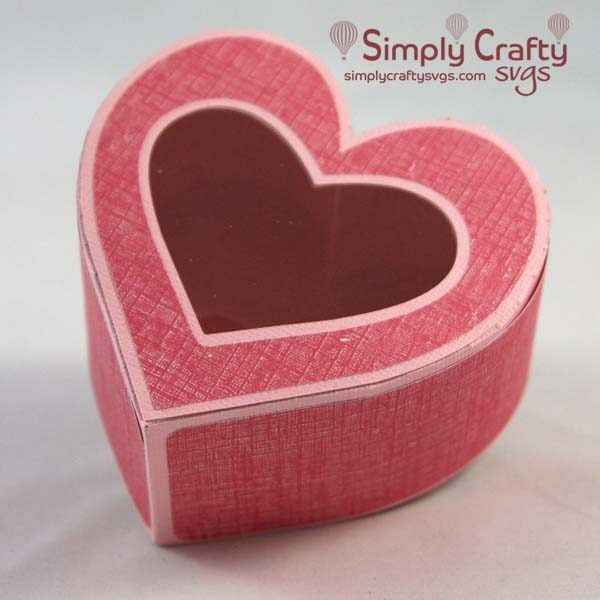 Finished heart candy box size is 4″ x 3.9″ x 2.25″ tall. Box without panels requires (2) 12″ x 12″ cardstock sheets to cutout. However SVG files are letter-size compatible sizes, if ungrouped. Smaller paper can be used for panels.